SPSS software is flexible, adaptable and user friendly. It is compatible with other software's , databases, spreadsheets and researchers have the flexibility to work on data from other software on SPSS including Microsoft Excel. SPSS is commonly used in data analysis for psychology testing where cross tabulations, t-test, and chi square tests etc are used extensively and almost in every analysis. For making comparative assessments and analyzing data separately to gain a better understanding of an event SPSS also has the ‘split file’ option in the ‘date’ menu. For eg if a study is being undertaken on the income levels in three areas the split file function allows them to evaluate and compare data from the three area individually to enable easy comparisons. The software also has the missing value analysis function which allows researchers to come to more meaningful conclusions and decisions by allowing the user to fill in missing data and offering comprehensive data management solutions to help researchers analyze data more effectively. These tools in built in SPSS make it a preferred choice of researchers and statisticians worldwide. SPSS Statistics assistance allows you to interact directly with the statistician who is doing your job. SPSS is a superior tool offering solutions that can help statisticians come to better conclusions and interpretations in less time. It is a dynamic and diverse tool capable of performing complex statistical functions and computations like factor analysis, discriminant analysis and variance analysis and so on. SPSS is a tool widely applied in social sciences, management and medical studies. One of the issues though is that it is not conducive on working with huge data sets. Data inherent tests like Normality, Co linearity and Auto correlation. Editing (Offering suggestions) of research questions and offering theoretical constructs. Generate suitable statistical assumptions along with justifications for sample sizes and analysis and reference data . 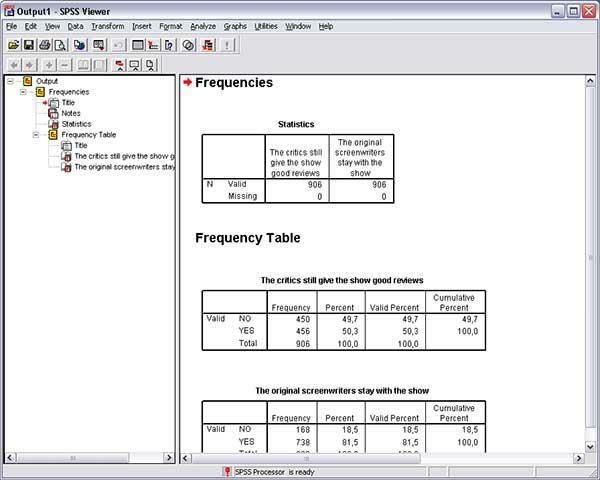 Tables, pie charts and result output screens from SPSS software and formatting them compliant to APA 6ed. Writing Statistical interpretation of the results thus achieved. Linking the results to Literature gap - On request. View a sample Logistic Regression report here. SPSS Statistics assistance is a unique and comprehensive support offered by Dissertation India which is value for money deal. Send us your details of the topic, sample data set, research questions developed and we will set up a consulting plan which will be best suited for your need. Contact us today for expert statistics help.